Considering there was a tube strike I had no problems taking the normal underground route of Victoria and District lines but the North South didn’t’ seem as affected as East West. I hadn’t realised until I saw the promotional signs for InfoSec 2015 at Olympia that this is the last time it will be at Earls Court as the building is being demolished and replaced by a retail park with houses and apartments. 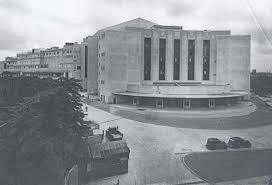 That is sad as it is a great art deco 1930s building, OK a bit tired but it is a better venue than Olympia. In the first minute I bumped into a couple of ex-colleagues who were exhibiting but never saw them again over the next 2½ days which serves to demonstrate the size of the event. The exhibition itself had a different feel, maybe because there were less people or maybe because all the big stands had huge screens, like something from Bladerunner, backed by stages and speakers and a small army of table magicians whizzing cards everywhere. Some of the larger vendors weren’t there but that trend isn’t new with vendors like Cisco and Check Point having missed previous events. There did seem to be more distributors, resellers and service providers than previous years and the trend of vendors having reseller “pods” continued. The Innovation and Overseas Pavilions of the USA, France, Israel and Moscow had some innovative solutions on offer although no one ever seemed to man the massive Moscow City stand/pods. Overall it was a great event.